This isn’t new to this expansion. Back in Wrath of the Lich King, the entire death knight starting zone presents you with a buffet of atrocities committed by you, and those quests clearly indicate that even as you are shaking off the influence of the Lich King, you continue to commit those atrocities – every death knight is therefore complicit in the horrors of the Scourge and the Lich King, and as a result the destruction of same becomes deeply personal, a quest for the only form of redemption left to a walking corpse who feeds on sorrow, pain and misery, encasing herself in death to shun the pain of a life she can no longer feel. (My first DK was a human woman.) Thinking about what that would be like – contemplating being personally implicated in something so monstrous – has rewards both in terms of story engagement and in its relation to the world we actually live in. Not to put too fine a point on it, but whether you support or oppose your nation’s actions and its leadership, you’re always part of it, and so a story where players come face to face with actions they could never support is worthwhile for the light it shines on our own experiences. To use another example from a recent quest chain – in patch 5.1 I was playing a worgen. So when I went to Dalaran, and Jaina Proudmoore decided to expel the blood elves of the Sunreavers, I took the quests from Vereesa Windrunner and I purged the city. At the time, I went along with it because, well, it’s a quest and that’s what you do, but I also did it because I felt like to a worgen, who’d had his home plague bombed by the Horde invaders, any form of retribution would feel perfectly justified. Would feel perfectly justified, mind you, because what I did – murdering shopkeepers in their places of business, killing a man in the bank so he couldn’t withdraw his own money, stalking and assassinating Sunreavers for the crime of trying to defend their own people from an assault they had no expectation of and no idea why it happened – was not admirable. Wow Gold It was easy for me to come up with a story justification for it, but that didn’t make it right and it took me a while to really think about what the quests were saying about war and about our participation in it. The explorations of these themes – how much responsibility do we bear for the actions taken in our name or by our leadership, what price rebellion, what happens when you become as bad as the thing you yourself oppose – are worth considering. 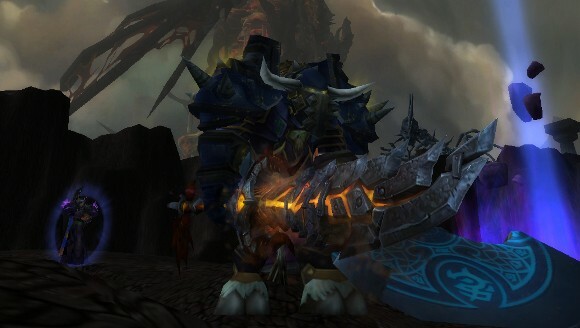 When a player explored Zul’Drak in Wrath, they got to see a society besieged by forces of horrific undeath that it could not directly conquer, and saw the lengths it went through to survive. While the particulars are fantastic – armies of undead, the life essences of godlike Loa spirits drained and consumed in an attempt to stem the tide of inevitability – it translates to an experience we can well relate to, since in every person’s life sooner or later we come face to face with something we can’t overcome and we have to learn either to accept it, or watch ourselves destroy everything we care about in a mad flailing to avoid it. The questline in Westfall in Cataclysm isn’t just a chance to re-use the Defias in a leveling zone, it gives us a view of a monster created by well-meaning people, about how with the best of intentions we can sometimes make the world a worse place. These ideas aren’t literally true – to my knowledge, I’ve never actually hacked off Edwin VanCleef’s head and turned it in for a pair of mail pants in front of his young daughter – but they’re representative.